'Staffing Care in the Home: A Critical Need and Creative Solutions' summarizes the most recent data related to critical staffing shortages and spotlights innovative solutions and shares perspectives from industry leaders. Home-based care is in competition with non-healthcare industries to attract the employees. Millennials are 186 percent more likely to choose work in healthcare than previous generations. Companies willing to change their approach will be best prepared to meet care needs when older employees retire and more Americans require care in their home. 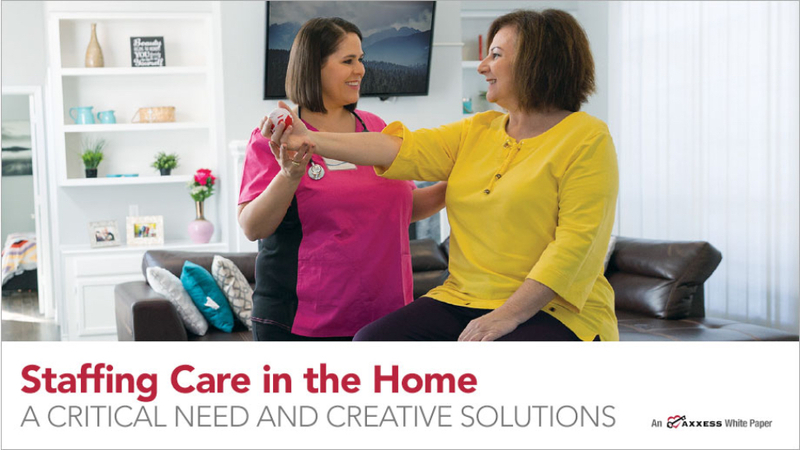 “Staffing Care in the Home: A Critical Need and Creative Solutions” details each of these points and highlights several innovative approaches that could be adapted to agencies and other home-based care organizations. Experts featured in this white paper agree that the best strategies incorporate an appeal to the millennials through flexible scheduling, prescheduled overtime and mobile staffing applications. The white paper on staffing is available for download here. Axxess has a library of white papers that focus on key home healthcare issues. These white papers can be found under the Resources section of Axxess.com. Axxess is today’s fastest-growing home health technology company, improving care for more than 2 million patients in North America. 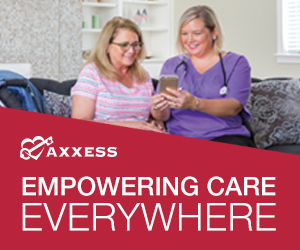 Axxess provides an easy-to-use, complete suite of cloud-based software and services for any size home health organization to grow its business. Trusted by more than 7,000 organizations, Axxess leads the industry in innovation with its best-in-class in-house software development team. Axxess also owns Home Health Gold, the industry’s leading data analytics software company. Fostering a collaborative culture to exceed client expectations, Axxess is recognized nationally as a “Best Place To Work,” while investing every day in growing the healthcare industry to address unmet needs and make lives better. To learn more about Axxess, click here.